Concordance Healthcare Solutions, LLC Joins HireVeterans.com! Concordance Healthcare Solutions, LLC was formed through a merger between three independent healthcare distributors, Kreisers, Inc., Seneca Medical, and MMS – A Medical Supply Company. 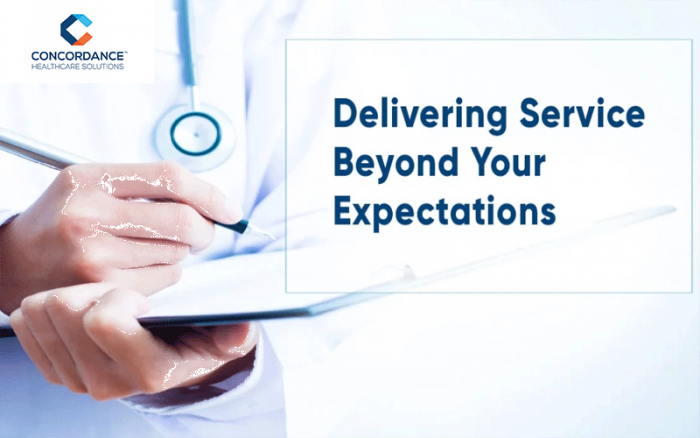 They are committed to becoming the most respected healthcare distribution company in the country by providing best-in-class service to their customers. Through their dedicated staff of over 1,000 employees, working in strategically-located distribution centers across the country, they offer dynamic supply chain solutions to the entire healthcare continuum. Concordance Healthcare Solutions, LLC is on a mission to help put our nations veterans back into the workforce. Help them make their dreams reality and provide them with the quality employment they deserve by a company that has their back. Click Here To View And To Apply To All Of Concordance's Available Positions!